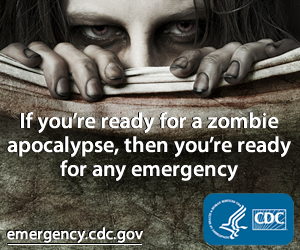 It is incredibly obvious to acknowledge the zombie invasion has been in full effect for a couple years now with the ghouls shambling into pop-culture’s top monster spot more each day. Aside from being the threat of AMC’s hit show The Walking Dead, they’ve taken a bite out of non-zombie franchises with guest spots. Not even their undead cousin, the vampire, can come close to being such a total immersion creature as to bleed over into reality with walks, runs, obstacle courses and, yes, actual hard news stories speculating whether they have come into existence courtesy bath salts and occasional cannibalism. Zombies, man, they creep me out – but that might be about to change with a major evolutionary step signaled at San Diego Comic-Con a few weeks back: Zombies With Personalities. Even though it sounds like the name for a garage rock band, Zombies With Personalities (ZWP) are members of the monster horde with names, personalities, individual behaviors, etc. emerging in a big way within pop culture. ParaNorman, is the stop-motion animated kids movie with an anti-bullying message where a little boy who talks to dead people must defeat a curse that unleashes zombies on his town. The Aug. 17 release received the lauded Hall H treatment at SDCC, and includes walking dead that can moan-speak and appear to have an agenda beyond just flesh eating. 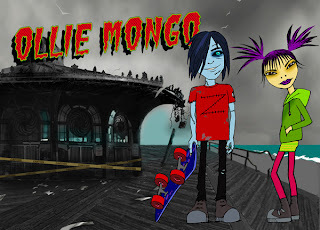 Meanwhile Klasky Csupo – the studio behind Nickelodeon’s Rugrats and The Wild Thornberrys in the ’90s – unveiled the online comic (and music video) Ollie Mongo: Adventures in the Apocalypse. Co-created by horror director Craig Singer, Ollie is a 16-year-old blue, skateboarding, vegan zombie who lives 200 years in the future. 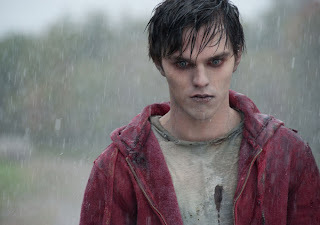 And though it didn’t have a panel at the con, the zombified image of actor Nicholas Hoult from the February 2013 movie Warm Bodies was present throughout the event, including on attendee SDCC bags. Based on a book by Isaac Marion, the film aims to be The Twilight Saga for zombies and follows “R,” a self-aware member of the walking dead who falls for a human girl. That’s right, a zombie love story is coming soon to a theater near you – and a couple others are already waiting on an Internet connection near you. Also featured at Comic-Con were “Rigamortis: A Zombie Love Story” and “Summer of the Zombies,” two comedic short films with zombie protagonists who have unique personalities and find love. Will this wave of ZWP be accepted by diehard zombie fans? Maybe, but it will be a tough sell. The Romero Zombie, the flesh-eating creature introduced in George Romero's seminal Night of the Living Dead - and the template for what will wipe out humanity in a coming apocalypse – is an infected person who dies and returns as a relentlessly driven “thing” that only wishes to devour the living and spread its infection. A zombie is basically a virus wearing human skin; it only resembles the person it inhabits, and only then until the flesh decomposes enough. Arguably one of the main reasons a zombie is scary is because it is not a “who” that pursues an individual motive but a “what” that shares an emotionless goal … of eating you. They eradicate like a swarm of locusts; their actions dictated not by desire but by nature. Still, the ZWP is not an entirely new phenomenon. The zombie “Bub” (portrayed by Sherman Howard) is the most notable example. Appearing in Romero’s third zombie flick Day of the Dead, he remembered aspects of his former life, learned how to use tools and experienced emotions. In Fido, Scottish comedian Billy Connolly plays a domesticated and protective pet zombie (who also dances pretty well and has a romantic streak). The ZWP have also periodically popped up in other movies and TV shows, but they are by-and-large rejected by fans who say it misses the entire point of the genre or destroys the brains behind it. But creators like Singer and ParaNorman screenwriter/co-director Chris Butler come to their projects with a lot of genre cred. And other creators are likely betting that there is always room for evolution within popular culture, and they are probably right. After all, there was a time when vampires could go out in the sunlight, according to folklore, then a long period where that was no longer acceptable. Now it seems most of them can again, and at least a few sparkle when they do. Granted, those are rules applied to supernatural monsters and not corpses reanimated by whacked-out science. It makes sense that creators would want to play in the sandbox to add new layers and dimensions to any trope. To avoid evolving altogether or simply agree to continue playing by previously-established rules is to, ironically, become just another member of the horde. Of course, if the projects unveiled at Comic-Con work, some of the ZWP entries that will rise will be crass money grabs and lousy zombie knockoffs. First, it remains to be seen whether the world is even ready for a zombie “Twilight” within pop culture. If it is, then the next question is whether the Romero zombies we know and love (or fear, in my case) can survive or if Zombies With Personalities will make them lose their bite.